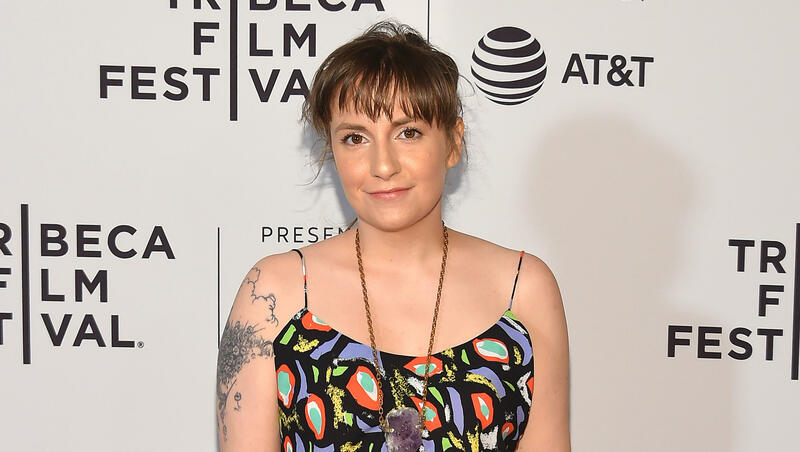 Lena Dunham tweeted about crushing on baseball players on Thursday and accidentally summoned . The disgraced former Mets player hit on the "Girls" creator on Twitter, only to get quickly rebuffed. Dunham and her boyfriend Jack Antonoff went to see a Mets game Thursday night and Dunham tweeted, "I'm horny for baseball players! Wow!" Dykstra, who served a six-and-a-half-month sentence in federal prison for bankruptcy fraud and other charges in 2012 and has been accused of sexual harassment several times, responded, "DM me." Then he sent her a YouTube video of Garth Brooks' "If Tomorrow Never Comes" and said, "Lena, this is for you." The song includes lines like, "Will she know how much I loved her?" Dunham initially seemed amused by the tweets and said, "Okay now you're making me laugh. I'm gonna have to read your wiki. This whole exchange is a real trip!" Dykstra followed up by sending her a video of himself hitting a walk-off home run in 1986 and said, "This is a good place to start to get the bloodflow going, doll." Later, Dunham tweeted, "You guys I'm being simultaneously trolled & seduced by @LennyDykstra this day has gotten really f***ing weird." Dykstra kept tweeting at her and said, "You know deep down you want to take a ride on the space shuttle," while she hit back, "Do you just sit around asking your friends 'what's the least witty way I can revolt a woman?'" When a fan tweeted at Dunham that Dykstra is a "contemptible human being," Dunham wrote back, "I'm not getting like the BEST vibe- I truly had never heard of him til 7 minutes ago! I'm a baseball newbie." Dykstra advised Dunham to take a cold shower if she could not "get to sleep after all this excitement," and she wrote back, "I'm already asleep, grandpa." Dunham is 31 and Dykstra is 54. "Excited about my new stalker @LennyDykstra! Unfortunately he seems to have underestimated my powers. Nite baseball fans, what a wild ride." Dykstra was charged with indecent exposure in 2011 for allegedly exposing himself to women he met on Craigslist. He was also accused of sexually harassing his housekeeper the same year. Dykstra was arrested in 1999 for allegedly harassing a 17-year-old girl, but the charges were later dropped. The former MLB All-Star wrote a memoir in 2016 called "House of Nails."